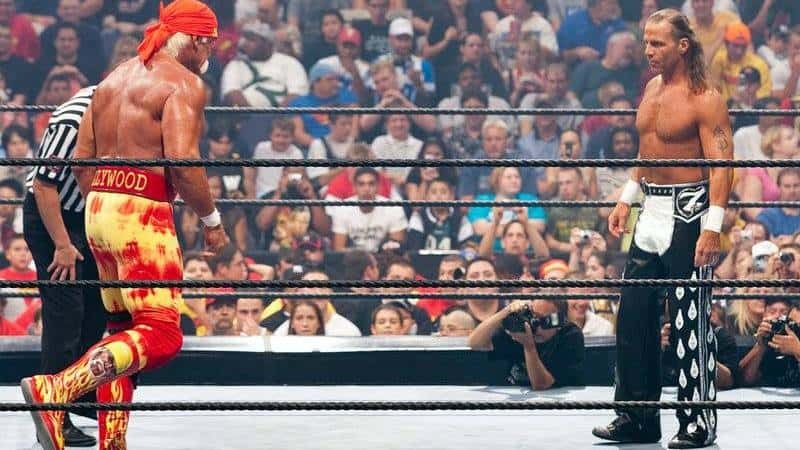 The Rock vs Hulk Hogan, “Icon vs. Icon”. An attendance record-shattering 68,237 fans jam-packed Toronto’s storied SkyDome to bear witness the absolute best from two generations. When the two stood face-to-face and the electricity from the crowd and the flashes of camera light illuminated the space all around them, it was quite evident that one of the greatest matches in WrestleMania history was about to take place. The classic staredown, the look to the crowd. The throng of people were behind both stars, but mostly Hulk Hogan. The first lock up. Hogan shoves Rock down. The crowd cheers heartily for the villain. What a reaction. It was only the beginning. But the match did not go according to plan. The Rock vs Hulk Hogan at WrestleMania X8. Icon vs Icon. One of the greatest WrestleMania moments of all time. 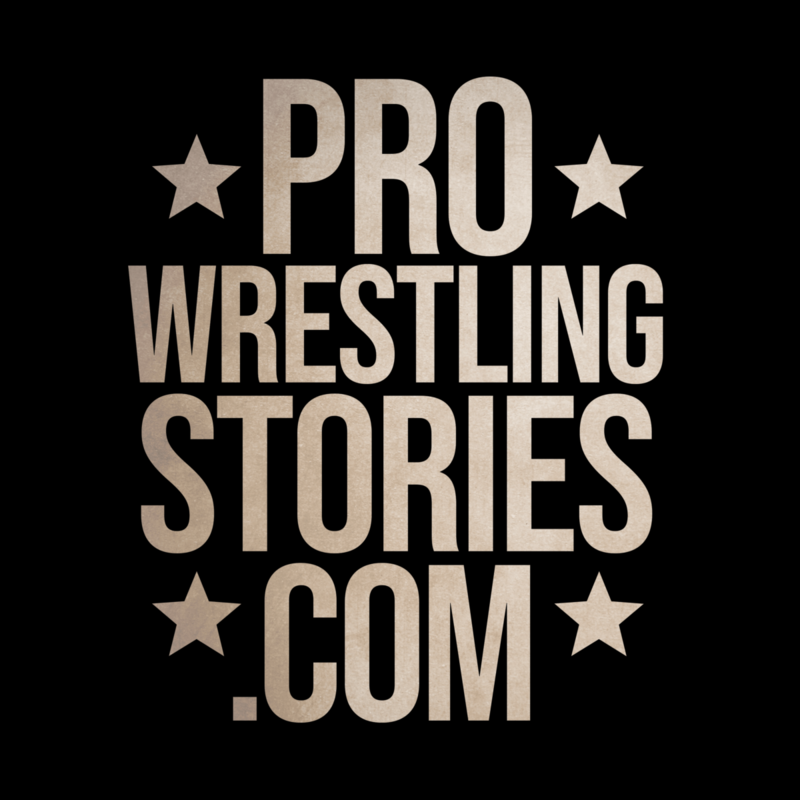 “I go down there, and there’s me and The Rock and his dad Rocky Johnson, and Pat Patterson. 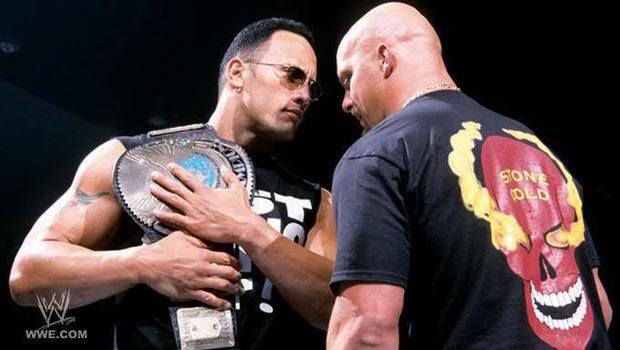 The Rock starts telling me that we’re gonna lock up, and do this and do that, then start getting some heat on me, and so on. So he talked through the whole match, and I was listening. I respect him, and it kinda made sense, but I’d never done that before. Then they go, ‘Okay, let’s have the match here.’ I said, ‘Whoa! You’re talking about me taking bumps in this ring, with no people? I’ll get hurt, and if I fall wrong one time, then my career is over.’ I’ve got to have the energy of the crowd so that when I go down, I go down to the mat hard. So instead, we just walked through the match. “The whole issue I had was what if we got to Toronto, and this doesn’t work? So sure enough, when we go to Toronto, I give The Rock one big push, and the place explodes. Then I pushed him again, as we planned, and the place explodes again. [WWE] thought I was gonna get booed. Then I start chopping meat on him, and with every hit, the place is going crazy. Then I did what was planned, blocking a punch, and as soon as he started hitting me came the boos. “This is, by far, the greatest night in the history of my career. In this industry, my main objective was to be the absolute best, period. 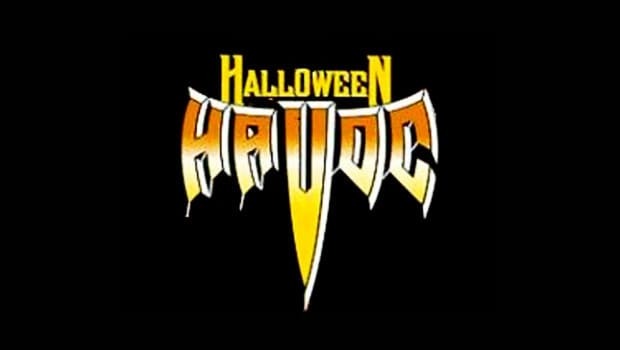 And what Hogan did for me tonight – I can’t thank him enough. It’s the greatest feeling, period. I dare say it will never be duplicated. You think about 70,000 people, non-stop screaming for almost 40 minutes. It’s a testament to their passion. 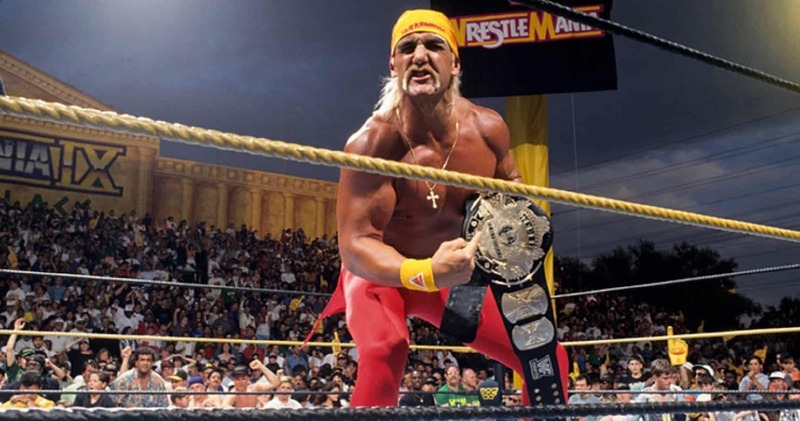 “16yrs ago today, at WRESTLEMANIA, I had the honor of making history and breaking records with this man: The Immortal @HulkHogan. “About a year prior to this match, Vince McMahon came to me and asked how I felt about bringing Hogan back to the @wwe and creating the main event at WrestleMania. I loved the idea and immediately saw the massive business opportunity for us but more importantly, giving the fans a once in a lifetime match to enjoy. “I told Vince we should promote the match, ICON vs ICON and the winner would go down as the greatest of all time. 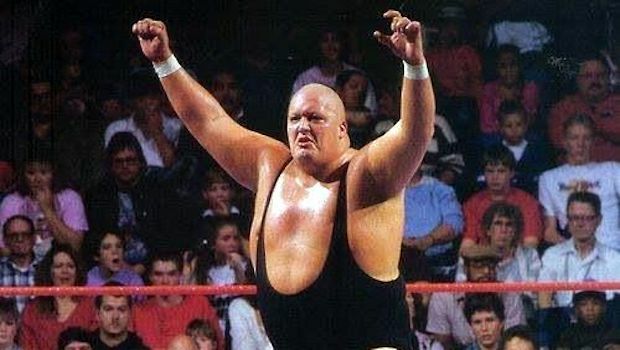 “Hogan did ‘the honors’ (me winning) that night and passed the torch to me, as Andre the Giant had done for him 15yrs earlier at WrestleMania III. “To this day, this crowd of 65,000 strong was the most electric and on fire I’ve ever had the privilege of performing in front of. 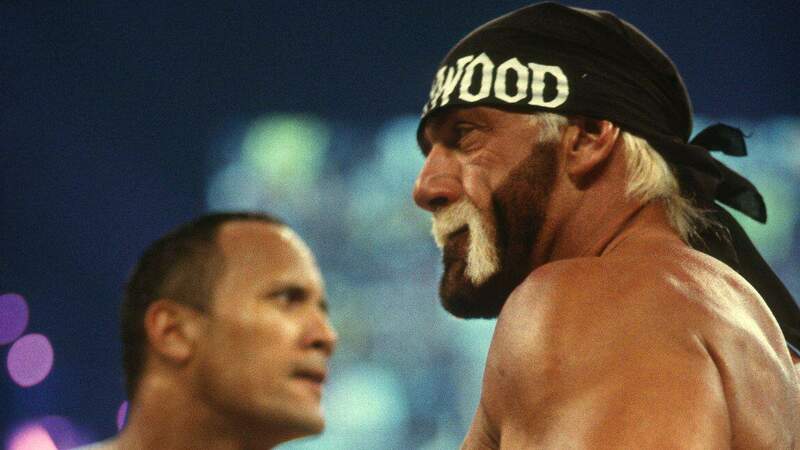 The way The Rock and Hulk Hogan were able to think on their toes, scrap the original plans they had for the match and follow the momentum of the crowd on the fly is a true testament to the kind of workers that they were. The two of them, just feeding off the energy of the crowd and calling it in the ring, created one of the most memorable moments that has ever taken place in the ring.